Please feel free to contact for prints,posters and canvas. Aviation photography by Jim Lucas. I strive to bring a bit of something different with my aviation photography. Based in the UK I visit most airshows during the season, as you will see I try to get to RAF airbases. My images consist of military and civil aviation. From Tornado GR4 to the F-15, you will find many varied images. Please feel free to contact me via the contact link. If you wish to purchase any aviation images please ask. I am available for aviation related photoshoots, just email me with any queries. Some aviation images are from museum visits, Cosford, RAF Museum, Hendon, Imperial War Museum, Duxford, Yorkshire Air Museum and many more. Cold war jets feature from taxi runs at Bruntingthorpe. 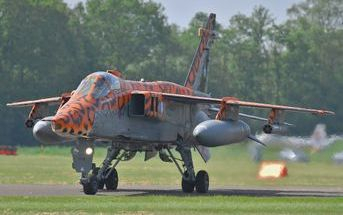 Seen here is the RAF Jaguar based at Cosford. There are many images of the last flying Vulcan XH558. I have included video's from some of the shows and airbases I attend. In 2016 I intend to visit, Duxford, RIAT, Farnborough, The Victory Show, Cosby, Cosford and Yorkshire Airshow at the former RAF Church Fenton. 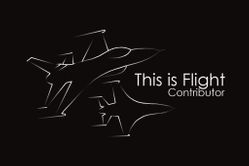 Please check out This is Flight for my contributions there. Please click on the image for This Is Flight, Global airshow coverage for enthusiasts, by enthusiasts.